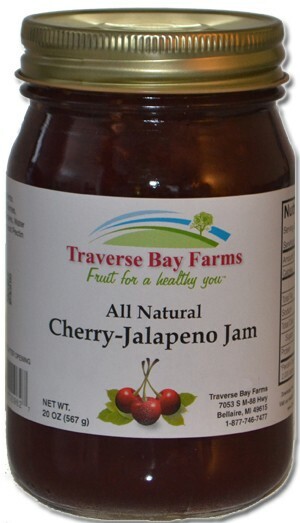 Cherry Jalapeno Jam - Cherry Gift Ideas - Northern Michigan Gifts--Traverse City, too! Michigan cherries, mixed with jalapeno to make the perfect blend of sweet heat. The perfect combination of tart cherries and jalapeno. It is a perfect pairing with any number of recipes or simply on a bagel or toast. Yummy!